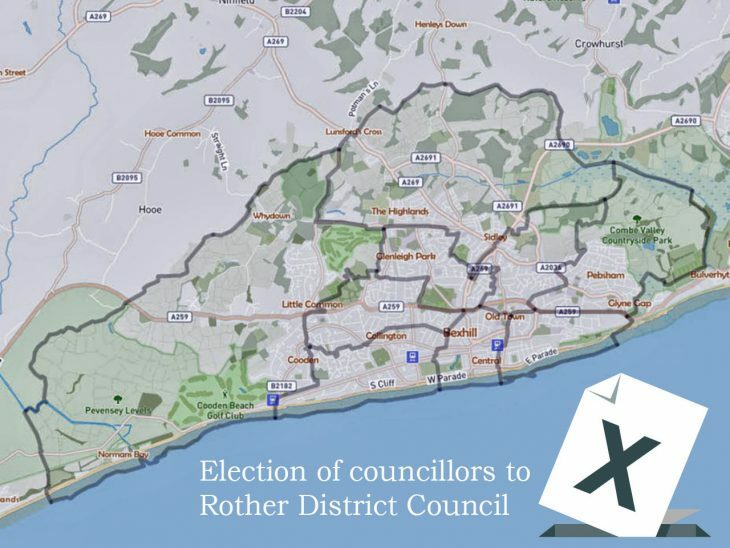 In March we sent a heritage questionnaire to the political parties contesting district council seats in Bexhill. We asked about their policies for our town’s heritage. The Association of Independents don’t have policies in the same way as political parties. Instead, each member decides for themselves what might be best for their constituents. Strong support for all three of Bexhill Heritage’s aims. In favour of participation, consultation, involvement, listening, partnership and delegation with BH. East Parade’s Victorian and Edwardian sea-front shelters. Strongly support. Bexhill Cemetery’s Edwardian Lodge. Strongly support. Down Road Drill Hall. Support. In favour of participation, consultation, involvement, listening, partnership and delegation with BH. Sees Bexhill Heritage as a valued and critical component. Bexhill Cemetery’s Edwardian Lodge. Support. Sea Angling Club redesign. Support. In favour of participation, consultation, involvement, listening and partnership with BH. Potentially in favour of delegation, as long as there was suitable discussion beforehand. In favour of a partnership and delegating with BH. Down Road Drill Hall. Strongly support. Sea Angling Club redesign. Strongly support. Bexhill Cemetery’s Edwardian Lodge. Strongly support, could be used for social housing. Sea Angling Club redesign. Strongly support, current design is shocking. Support for all three of Bexhill Heritage’s charitable objects with ‘strong support’ for our role in educating Bexhill’s residents. Along with all organisations, Bexhill Heritage is welcome to participate in consultations initiated by RDC on the same basis as any other group or member of the public. Where we feel it is important, we would consult Bexhill Heritage on important conservation and heritage matters as part of the decision-making process, and would involve Bexhill Heritage when identifying options on important conservation and heritage matters. We would listen to Bexhill Heritage should it wish to make representations on the conservation of heritage buildings or open spaces. Where appropriate, we would seek to work in partnership with Bexhill Heritage when planning conservation and restoration work. Working in partnership, we would seek to delegate some responsibility to Bexhill Heritage for the conservation and restoration of heritage buildings and open spaces. East Parade’s Victorian and Edwardian sea-front shelters. Support. Bexhill Cemetery’s Edwardian Lodge. Support if it’s possible to deliver ‘housing requirements’. Down Road Drill Hall. Support if possible, as long as the scheme goes ahead. Sea Angling Club redesign. Oppose. This is a matter for the Sea Angling Club and RDC’s planning department, subject to funding.